We’d love your help. 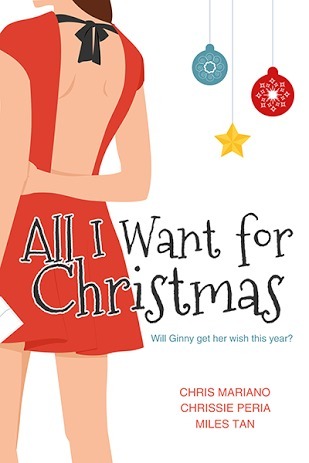 Let us know what’s wrong with this preview of All I Want for Christmas by Chris Mariano. This holiday season, Ginny wants nothing less than hot model du jour Luis Inoue. That's why when her best friend Issa invites both of them to a small sit-down dinner, she jumps at the chance to show Luis she can be naughty and nice. Will everything go according to plan? Or will Issa's brother Marco's interference keep her single all the way? To ask other readers questions about All I Want for Christmas, please sign up. What a lovely, lovely Christmas story. All the right feels. Thanks, Chris, Chrissie and Miles! Marco is really funny though the 'thing' about him is actually obvious (like 'duh!') but it was really minor. On the otherhand, Luis is super Daniel Matsunaga-ish by the way he was described. These two guys definitely made the story a whole step better.